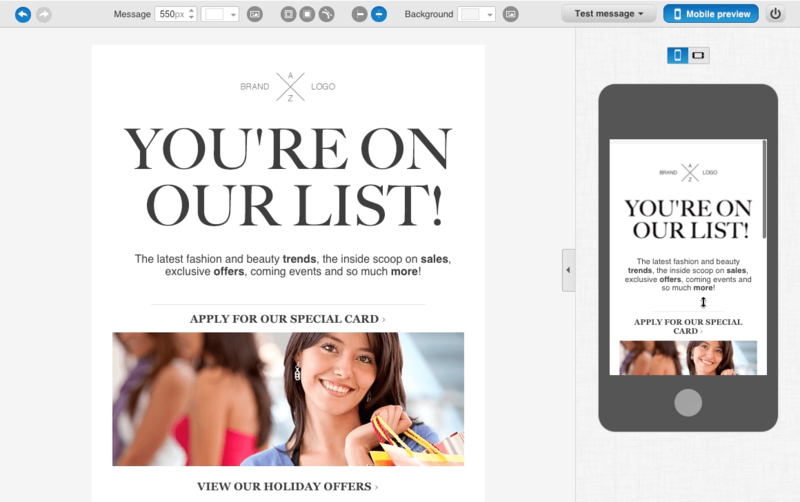 GetResponse offers clean, responsive email templates. You can have an entire campaign up and running, whether you’re an experienced marketer or just starting out, in a few simple steps. Their newsletter service allows you to send updates and announcements to your list, autoresponders to nurture and educate, forms to grow your list, and tout a 99% deliverability to ensure your messages always reach your subscribers’ inboxes. Features include advanced segmentation, responsive design, analytics, AB testing, forms, and list building apps. GetResponse has a simple drag-and-drop landing page creator to design 100% responsive landing pages and web forms. Landing pages include over 150 professionally designed, ready-to-go templates. You can create web pages for opt-in, thank you, sales, webinars, and more in less than ten minutes, without touching any code. They also offer video integration and 150 responsive templates. The GetResponse webinar platform offers an advanced integration with GetResponse email marketing, which allows users to host training sessions, product announcements, demos, and more. Features include desktop sharing, polls, presentation sharing, chat moderating tools, VoIP capabilities, and attendee management. Their marketing automation platform offers scalable workflows based on customer journeys. You can create marketing automation workflows using an easy drag-and-drop creator to track subscriber behavior in real time. React to completed purchases, abandoned carts, key web page visits, message engagement, and much more. Features include email marketing automation, lead scoring, web traffic tracking, cart abandonment, and automation segmentation. Still not convinced GetResponse is right for you? Use our Marketing Automation Software product selection tool to browse additional solutions and get a custom recommendation. Have questions? Call, click, or email to get a free consultation from one of our unbiased Technology Advisors. Learn everything you need to know about GetResponse. Our experts will reach out to you shortly.